This case was designed for Walt Disney World to provide a portable network hub for audio and lighting throughout their park. The equipment as well as the rack was built and integrated by our in house Custom Integration department. 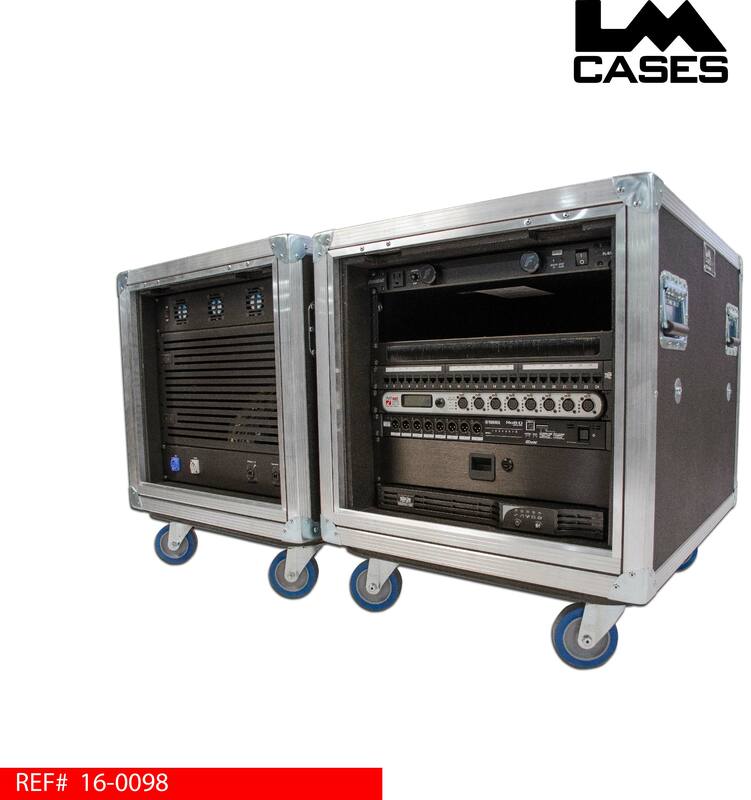 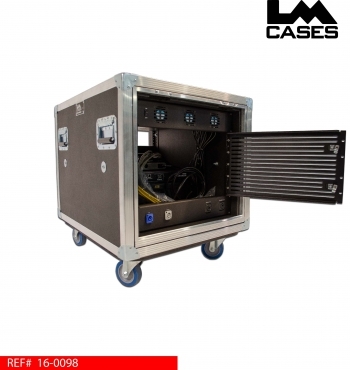 The 10RU case features a Yamaha RIO Ro8-D output interface, Pathport Octo DMX node, 24 point Cat6 patchbay, network switch, UPS, power conditioner and rack drawer. The rear rack features 3 custom panels: power/signal, a hinged vented access door and a fan panel. 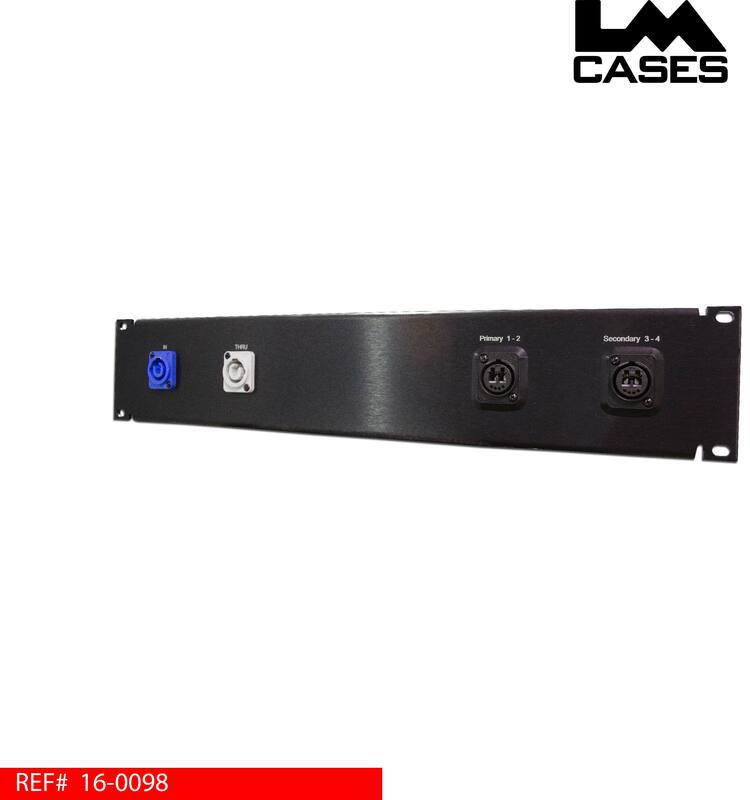 Connectivity to the rack is addressed via 2 Neutrik NO2-4FDW-A Opticalcon fiber jacks mounted in a 2 RU panel, power to the rack is also addressed on the fiber panel by providing Powercon In & Through. Access to the back of the equipment is provided by a 6RU hinged vented door, the rack is kept cool via a 2RU triple fan panel that features an inline power switch. 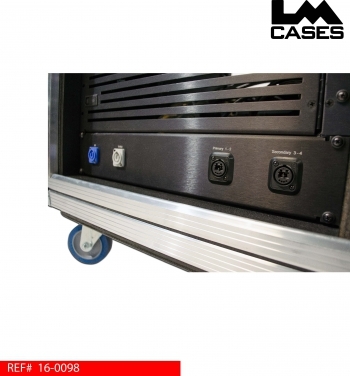 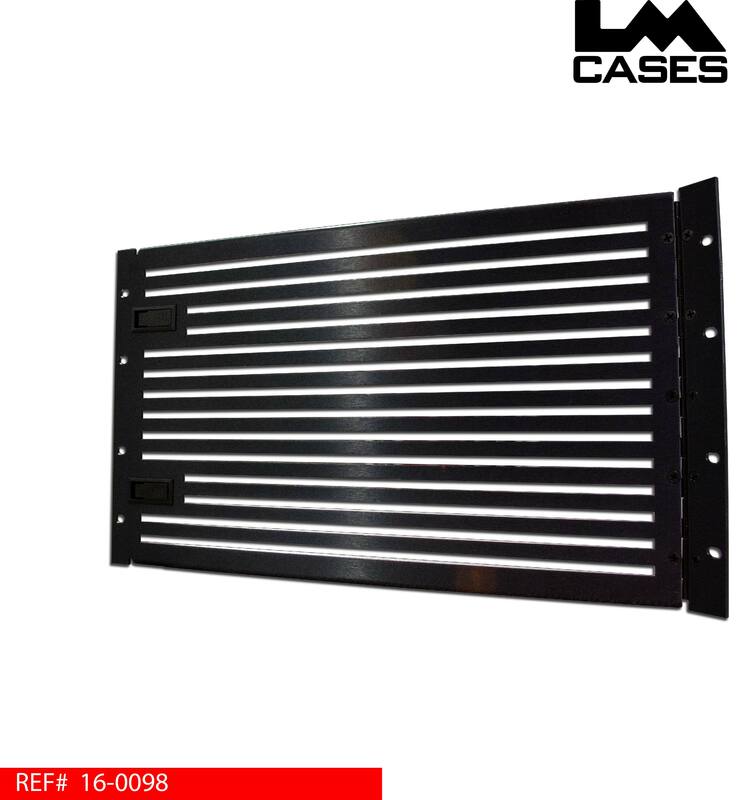 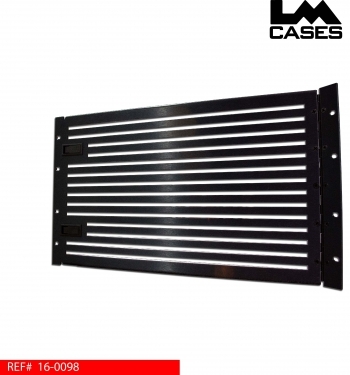 The LM Cases CI department handles the procurement and installation of all of the rack components. 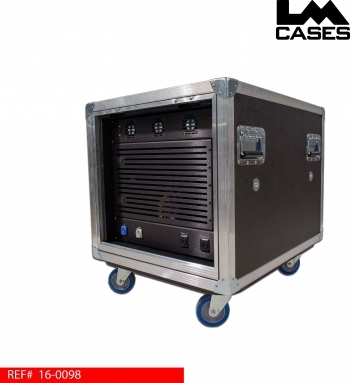 The exterior case and inner rack shell are built out of 1/2" plywood laminated with black ABS plastic. The inner rack shell features pre-tapped 10/32" rack rail and a dual flange box combo rail as mid rail for cable management. 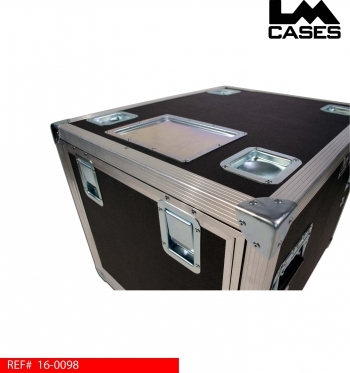 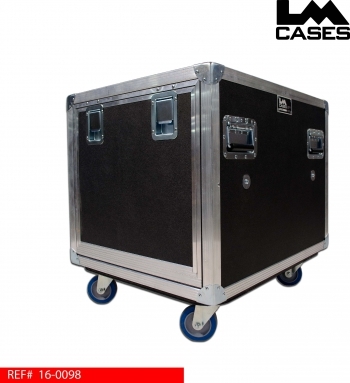 The exterior case features stacking caster wells, a dry erase label plate and Colson 4" casters. 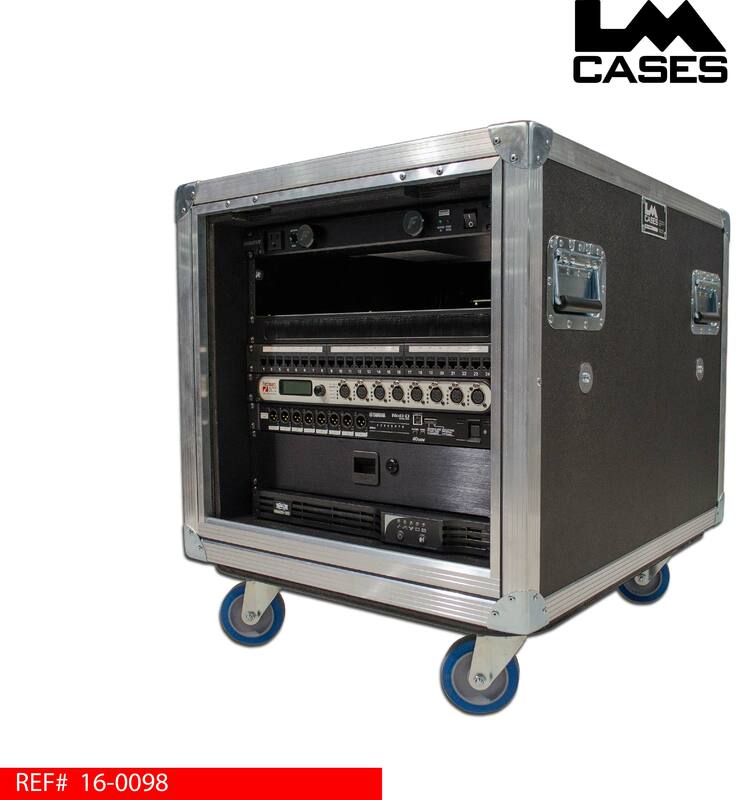 Special thanks to Walt Disney World for a great project!